Ivan Bonomi was born in Italy in 1873. After studying natural sciences and law he took up journalism in 1898. Bonomi, a member of the Italian Socialist Party, wrote for Avanti! and Critica Socialista. In 1909 Bonomi was elected to parliament and after being expelled from the party he founded a reformist socialist movement. Bonomi served as a minister under Vittorio Orlando and Giovanni Giolitti and briefly headed the Italian government in 1921. Bonomi was opposed to Benito Mussolini and left politics in 1924. 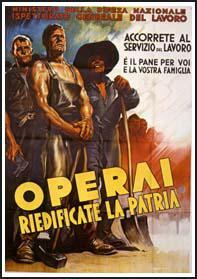 During the Second World War he was a leader of the anti-Fascist struggle in Italy. The loss of Sicily in August 1943, created serious problems for Benito Mussolini. It was now clear that the Allies would use the island as a base for invading Italy. A meeting of the Fascist Grand Council was held on 24th July and Galaezzo Ciano got support for his idea that Italy should sign a separate peace with the Allies. The following day Victor Emmanuel III told Mussolini he was dismissed from office. The king now appointed Pietro Badoglio as head of the government. Soon afterwards he declared martial law and placed Mussolini under arrest. Bonomi replaced Badoglio as prime minister in June 1944. In an attempt to unite the country against Benito Mussolini, Bonomi's government included long-time campaigners against fascism such as Carlo Sforza , Benedetto Croce and Palmiro Togliatti, the leader of the Italian Communist Party. Bonomi left office in 1945 but three years later became president of the Senate. Ivan Bonomi died in 1952.